Synthetic peptide within Mouse Lipin 1 aa 240-290 conjugated to keyhole limpet haemocyanin. The exact sequence is proprietary. Rat and mouse colon tissues. Our Abpromise guarantee covers the use of ab216496 in the following tested applications. 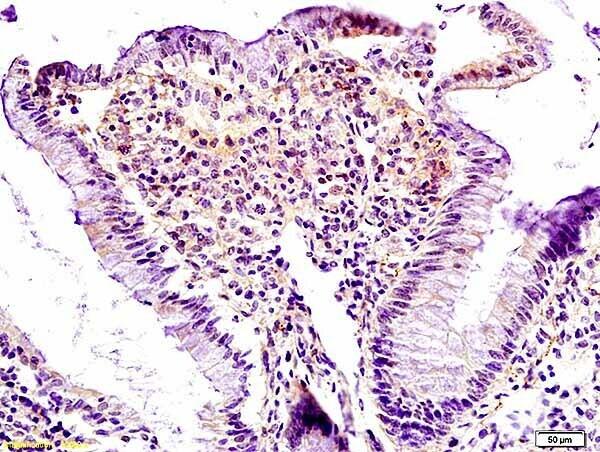 Immunohistochemical analysis of formalin-fixed, paraffin-embedded rat colon tissue labeling Lipin 1 with ab216496 at 1/200 dilution, followed by conjugation to the secondary antibody and DAB staining. 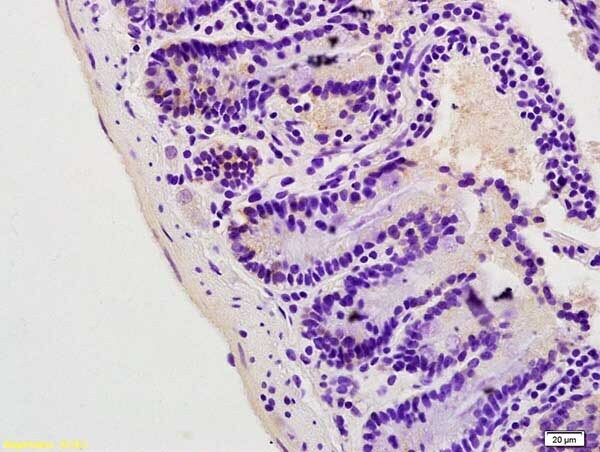 Immunohistochemical analysis of formalin-fixed, paraffin-embedded mouse colon tissue labeling Lipin 1 with ab216496 at 1/200 dilution, followed by conjugation to the secondary antibody and DAB staining. ab216496 has not yet been referenced specifically in any publications. Publishing research using ab216496? Please let us know so that we can cite the reference in this datasheet. There are currently no Customer reviews or Questions for ab216496.